Shooting a pistol is an athletic activity. Like any athletic endeavor, we need to have some performance measurement standards. Measurement is the operative word here. We need to measure our downrange performance, i.e., how well we can hit the target, if we want to become better at shooting. There are numerous variables that can be called into play for measurement. As an example of athletic measurement, the current US Army standard for my age cohort is a minimum of 27 sit-ups in one minute. More sit-ups means more points scored. The Army Physical Fitness Test has to be taken twice a year. In weight training, we might simply measure how many repetitions of lifting a given amount of weight we can do until we can’t lift anymore. Over time, our objective is to be able to lift more weight and/or perform more repetitions. 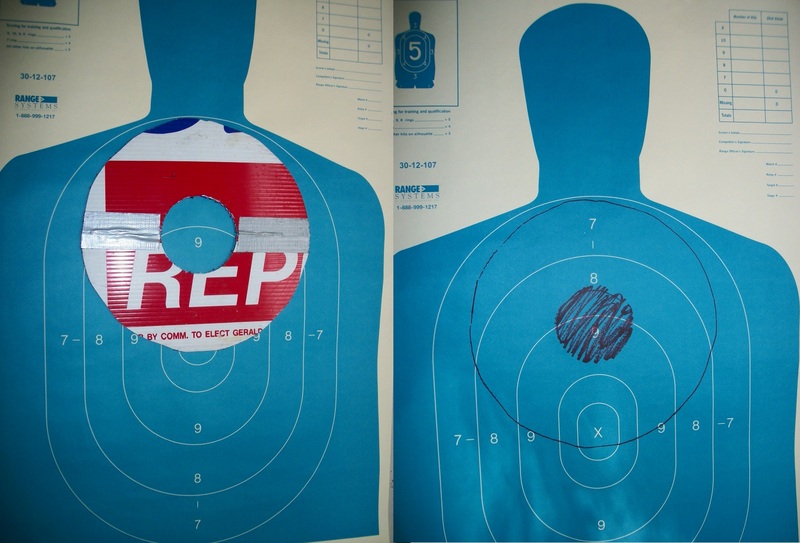 Police officers have to undergo periodic testing of their shooting ability. The period might be anywhere from once a year (mandated by every state I am aware of) to four times a year (LAPD and FBI). What might be a set of reasonable standards for the average gun owner? I’ll offer the following as a progression that a gunowner could use to see where their skills stand on a periodic basis. It’s less than 100 rounds, so there is some room for remediation, if necessary. Because firearms skills are perishable, I’m more in favor of the LAPD/FBI approach of doing an evaluation four times a year rather than just once. Shoot 10 shots at a silhouette at 7 yards with no time limit. The LAPD standard is simply that 7 of the ten have to hit. Our standard should be to have, at a minimum, all 10 rounds hit within the 7 ring of a B-27 or an equivalent. The point of this is to learn how fast we can shoot and still make our hits. Even the LAPD SWAT has learned and trained the cadence they can make consistent hits on a target. It’s not by shooting as fast as they possibly can, it’s by paying attention to what they’re doing while they’re shooting. I got that from Darryl Bolke. If you meet the standard, then move on to the next component. If not, work on getting your fundamentals in better shape. I wonder how many people never shoot anything but a full value target [i.e., complete silhouette] at 3-5 yards and call it gtg [Good To Go]. I agree with him completely; assuming that we’ll always have a full body presentation to shoot at in a defensive encounter is a mistake. If you can’t hit a paper plate consistently at five yards, you should work on being able to do that. See the sights and press the trigger smoothly. If you can make the standard, then move on to the next. 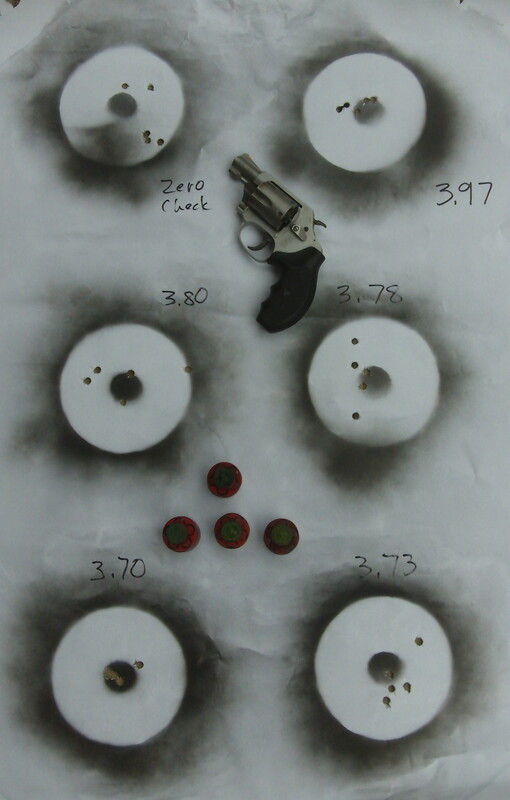 Shoot a five-shot group within a 12-inch diameter circle at 21 feet in fifteen seconds. Repeat until you’ve done it four times. The four times don’t have to be consecutive, however the standard of every shot having to be in the circle is. This drill is a lot more difficult than most people think because of the 100 percent hit requirement. Even though 15 seconds is a very generous time standard, knowing you’re on the clock makes it more difficult. Once you’ve made it four times, move on to the next component. 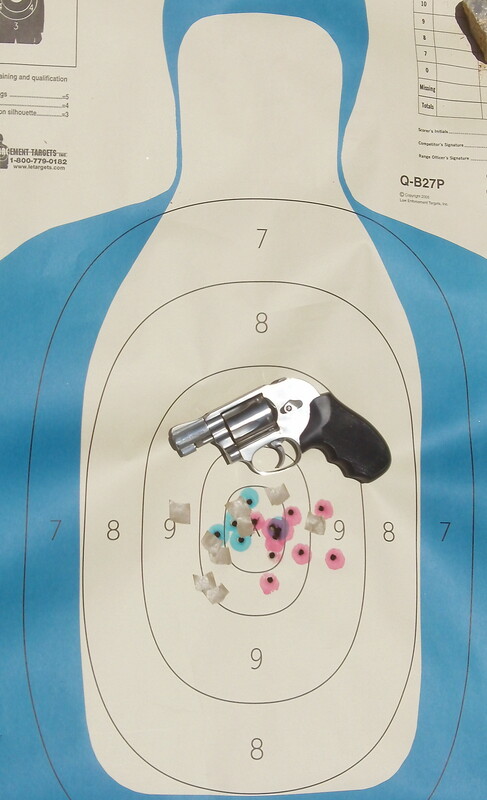 Shoot five shots into a five inch circle at five yards in five seconds. Do it five times in a row. This is a very difficult drill for most people. Only do it once to get an idea of how well you can shoot it. It’s a good practice drill for other times you shoot. After shooting it once, move on to the final component. Shot at 15 yards on a B-27 silhouette target. Load with six rounds only; you will need another magazine or speedloader loaded with six rounds also. Start double action if your pistol is so equipped. Fire six shots, reload, and fire another six shots for a total of 12 shots from a standing position, no support from bench or wall allowed. The time limit is 20 seconds, including the reload for the second 6 shot string. Score it based on the number value of the rings. The maximum point value for the string is 120. Although many people think that a Private Citizen cannot legally justify shooting past seven yards, that is absolutely not true. I have a number of incidents in my database where Private Citizens shot at longer distances and it was completely justified. If a gang banger is shooting at you and your children at 23 yards, you are legally justified in shooting back. That assumes you have the skill and are cognizant of the background. If you don’t need to do any remedial work during the session, you will fire 82 rounds total. That gives you a little left over to play around with as you please. Using a progression of drills that increase in difficulty gives you the opportunity to evaluate where you need to work on your skills to improve. Keep a record of how you did on each drill. Having a record is key to knowing what you need to work on in your practice sessions. If it all seems easy, you can do the drills one handed; either dominant hand only or support hand only.